Who wants to win a paperback copy? Keep reading to read my review and for your chance to WIN!! When a former fling pops up among the matches for one of her favorite clients, Blanche gamely messages him on her behalf. Blanche is definitely over him, and this is how she’ll prove it. But if she doesn’t watch out, Blanche might end up not only screwing over a client-and possibly tanking her entire business-but breaking her rule about love as well . 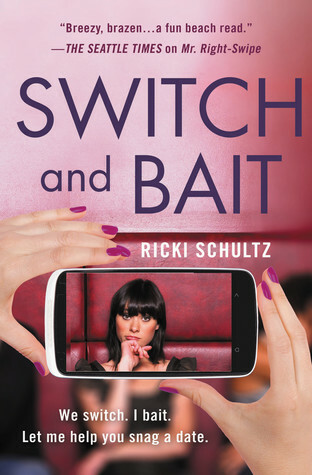 . .
Switch and Bait is the second novel by Ricki Schultz. I was lucky enough to read her first Mr. Right-Swipe on vacation last year. 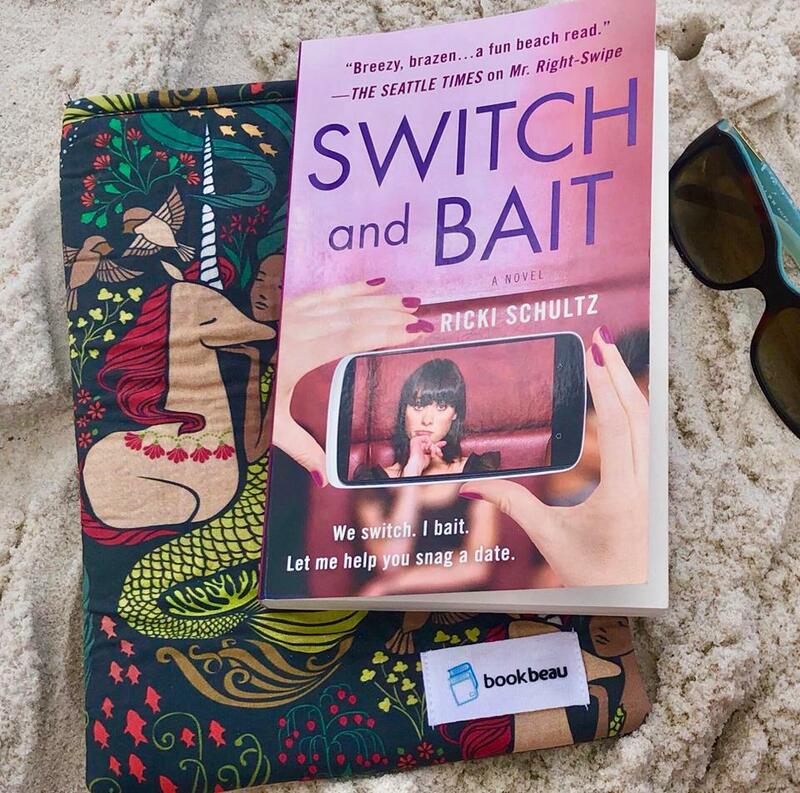 Imagine my surprise when I got a request to again review another Schultz novel and added bonus…I would be enjoying it again on another beach vacation! Which let me just say… Schultz should be required beach reading material. I was very excited to read this book. I loved her first. You can read my review of that one HERE. Schultz brings a refreshing fun and young perspective to her novels. With fun charismatic characters that insert themselves in some of the silliest of predicaments. Switch and Bait centers around Blanche. A single girl helping others find love through online dating. I found this to be a very easy read. Perfect for a relaxing day at the beach or poolside if that better suits your summer plans. With quirky characters, a second chance romance that makes you believe in fate, and intermittent with giggle-worthy scenarios I once again tip my hat to Ms. Schultz. I could say more about this book but that would break my “spoiler-free” rule. Discover the amusing and entertaining writing style of Mr. Schultz. 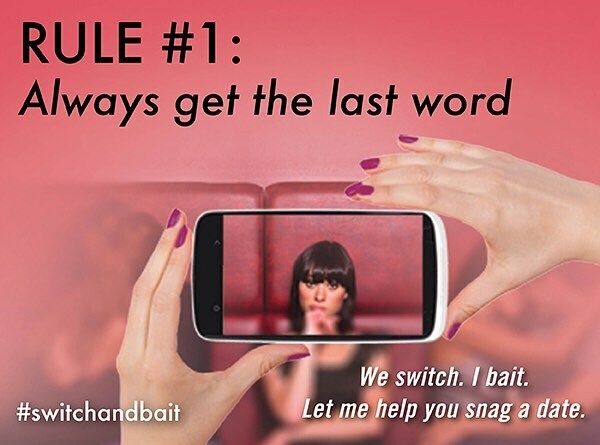 You can pick up a copy of Switch and Bait below. Ricki earned a B.A. in English and an M.Ed. in Secondary Education from John Carroll University in Cleveland, Ohio. In addition to writing, she has molded the minds of tweens & teens as a middle school and high school teacher in both the CLE and the ATL — and she also spent a year teaching writing and communications at the college level. She’s back in Atlanta now, and she owns the cutest beagle ever (Molly). Among other publications, she has contributed to Writer’s Digest Books, both interviewing literary agents for the Guide to Literary Agents blog as well as writing various articles for both Guide to Literary Agents and Children’s Writer’s and Illustrator’s Market (F+W Media). In addition to freelance writing and editing, she has spoken at writers’ conferences and now sits on the board of Broadleaf Writers Association here in the Dirty South. She was formerly the coordinator of the now-defunct online writing community, the Write-Brained Network. *Winner will be contacted through comments/social media. U.S. only, ends Saturday, June 23 at midnight. I am responsible for lost or stolen prizes. Winner must be 18+ to win. No purchase necessary. This looks fun – I wants it! I’ve seen this one posted around but didn’t know what it was about until now. Great post! I’ve been seeing this one around a lot lately, glad you enjoyed it! Sounds like a fun summer read! Great review! This sounds like a fun read! Definitely has me interested! Great review! I really like the idea of this book. I will have to put this on the TBR list and get to it soon. Plus that cover.